Your Profile page contains information specific to you, and is accessible in every account you have access to. In this article, you'll learn how to find your profile settings, update your profile picture and basic information, and change your username and password. To access your Profile, click your account name to open the drop-down menu, and choose Profile. From your profile page, you can upload an image from your computer or click Take A Photo! to use your computer's camera to take a snap shot. After your photo appears, click the pencil icon on your profile photo to edit the image using our photo editor. This photo shows up next to your profile name in the navigation bar. You'll also see it as you edit and leave comments in the Campaign Builder or in a subscriber's profile. To delete your photo, click Remove current photo. Internet Explorer does not currently support the Take A Photo option. 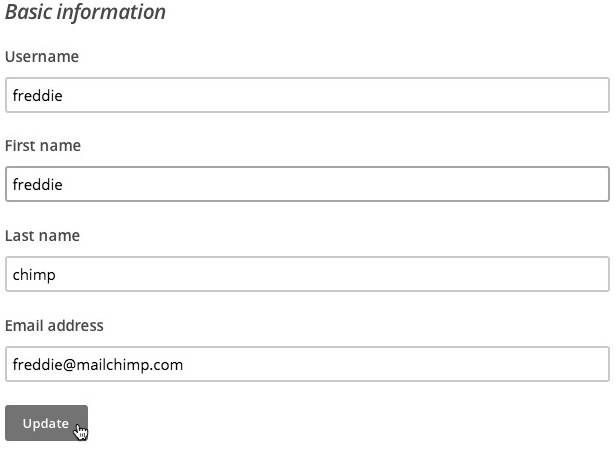 If you use Internet Explorer with Mailchimp, use the Upload Photo option. You can keep your account more secure by setting up two-factor authentication. We offer a 10% discount for 3 months to Mailchimp accounts that use two-factor authentication for all Owner and Admin logins. Your profile name is listed under the Basic information heading, in the First name field. 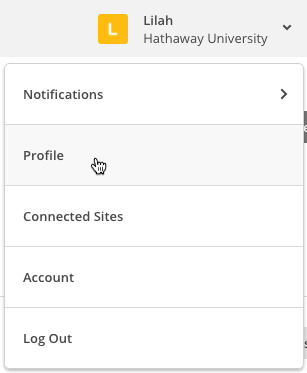 If you have access to multiple accounts, your name appears in bold next to the username of the account you are currently logged in to. To change the profile name for your account, provide new information in the First name and Last name fields, then click Update for that section. To change your username, enter a new username under Basic information and click Update. Mailchimp usernames must be unique, and they cannot be reused. Enter your current password in the Verify current password field. 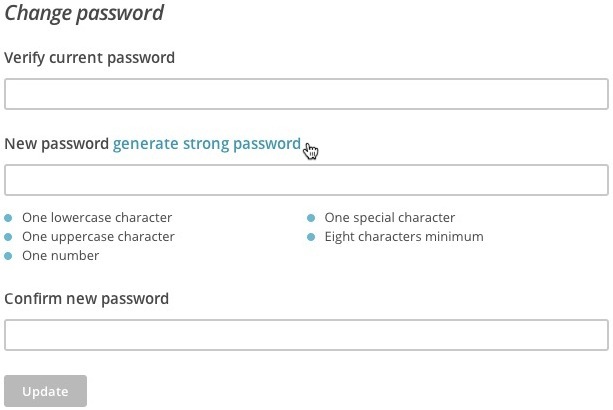 Protect your account with a strong password that is hard to guess. Under the Username and password heading, click the generate strong password link. The generated password displays next to the Use this password link. On the Save Your Password screen, select Print A Reminder Card or click Ok, I'll Remember It! 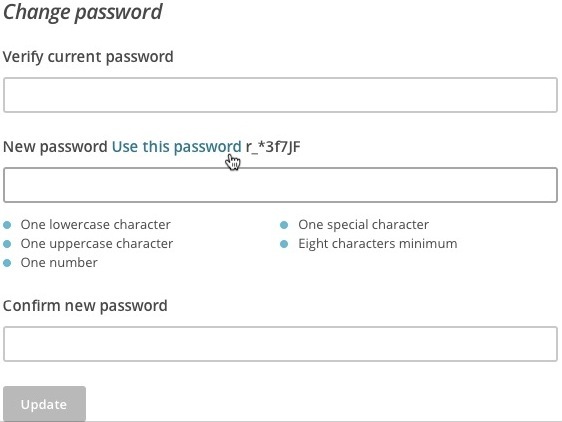 to save the generated password. Once you've printed or saved your password, type the new password in the Confirm new password field and click Update. Your password must be at least eight characters long, and contain a lowercase letter, an uppercase letter, a number, and a symbol. Your password meets requirements when all of the bulleted text turns gray.